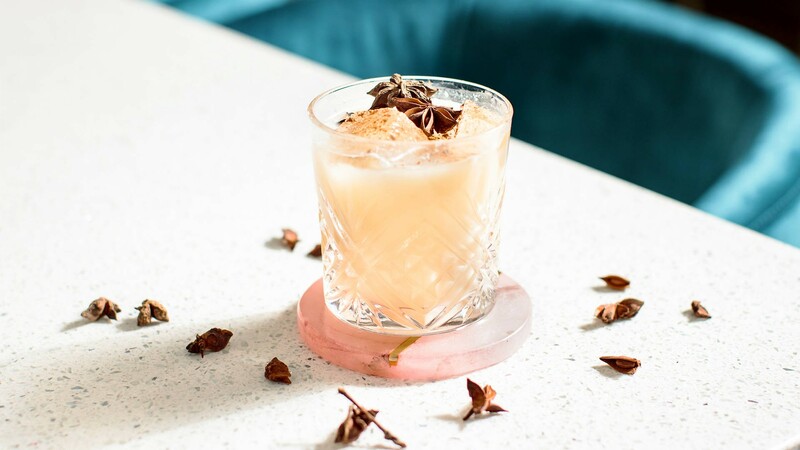 Toronto's OG source for vegan and vegetarian food brings a creamy, cinnamon tasting cocktail that's not only delicious but also full of antioxidants and great for gut health. First, combine all liquid ingredients over ice. Stir to chill. Strain into a cut rock glass filled with ice to the top. Sprinkle cinnamon and the star anise on top. Served with a short black paper straw. Fresh's freshly pressed red apple cider is steeped with wild Ontario Chaga, cinnamon, nutmeg, cloves, black peppercorns and cacao nibs. Chaga mushrooms are one of the world's richest antioxidant substances, excellent for immunity, blood, heart and gastrointestinal health. The healing properties of this local superfood (usually harvested in Muskoka) are extracted by steeping them in freshly pressed organic red apple cider for several hours.